Earlier in the year the publication came where we presented the first attempt at using Bayesian Inverse Modelling to estimate CO2 flux estimates for the Cape Town metropolitan area (Cape Town ACP Paper). We obtained initial estimates of anthropogenic emissions from a bespoke fossil fuel emission inventory, and estimates of the natural fluxes from the CABLE land atmosphere exchange model. 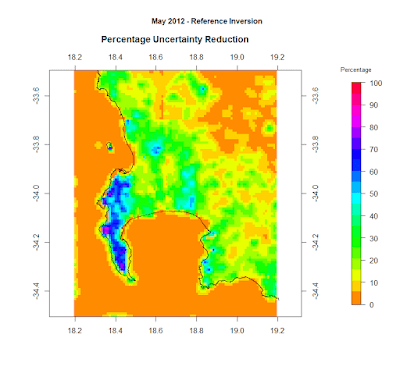 We were able to substantially reduce the uncertainty around the posterior flux estimates for many of the regions in Cape Town, specifically percentage uncertainty reduction was highest over the Table Mountain National Park area and the city area adjacent to this natural area. For these regions we had percentage uncertainty reduction between 60 and 90%. 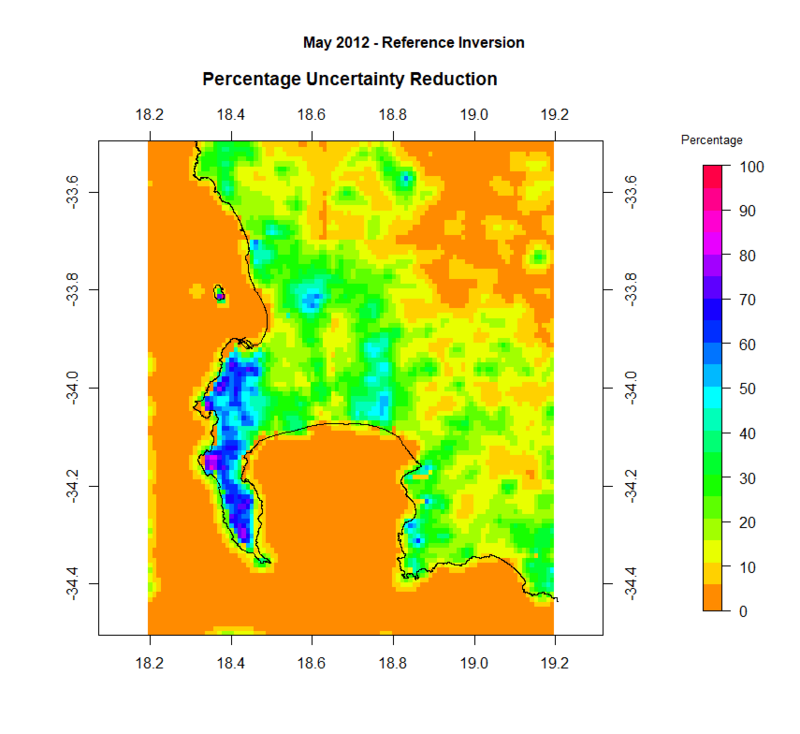 The majority of the Cape Town city area had an uncertainty reduction of about 20 to 40%. Although we achieve relatively large percentage uncertainty reduction in our flux estimates, because a large uncertainty was assigned to the natural fluxes (estimated from the Net Primary Productivity), the posterior uncertainty limits were still large in absolute terms; certainly too wide for the estimates to be useful for monitoring, reporting and verification. In a second paper which came out recently in ACP Discussions on the sensitivity analyses for this inversion, we demonstrate some of the ways that improved estimates could be obtained, and highlight the need for improving estimates of Net Ecosystem Exchange and its uncertainty.